Cabaret is a musical about the complicated moral calculus of hedonism in a world controlled by evil too powerful to confront, set around a seedy nightclub in Berlin during the Weimar Republic. You probably already knew that, so we’re not going to talk about it any further. We’re only going to talk about one scene, the reprise of the title song near the end of the movie. Talking about Cabaret means talking about Liza Minnelli, and talking about Liza means talking about her mother Judy Garland. So here’s a warning: there’s a darkness at the heart of this movie that goes deeper than just what’s on the screen, and we’re going to get into it. Judy Garland was a child star — along with Shirley Temple, one of the archetypical early child stars of Hollywood. At 16 she was cast in The Wizard of Oz, the movie that would change her life and films forever. But to keep up with her demand (and exploit her charm), the studio encouraged her to starve herself and take amphetamines to stay awake around the clock, and she began to rely on drugs to control both her dysmorphic opinion of her weight and her desperate insecurity. She struggled with addiction and eating disorders for the rest of her too-short life, dying of an accidental overdose in 1969 — her husband has said she weighed less than 90 pounds when she died. Meanwhile, her daughter Liza also developed into a child star. She first appeared on screen as an infant, and in her teens and early twenties was doing the nightclub circuit and recording albums. 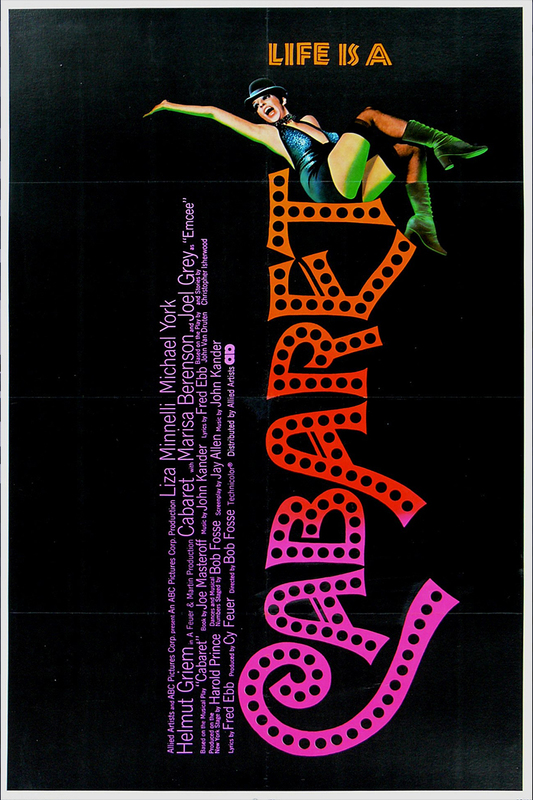 The year her mother died she was nominated for the Oscar for Best Actress at the age of 23, and three years later in 1972 she got the starring role in Cabaret, her first musical performance on film. But by then, Liza was wrestling with her own demons. She’d become addicted to alcohol and prescription drugs, starting with a Valium prescription for dealing with grief after her mother’s death and culminating in running with the Studio 54 crowd and multiple stints in rehab. And so when Liza sings Cabaret, and she tells the story of Elsie, her friend who lived fast and died young from too much pills and liquor? When she sings that when she goes, she’s going like Elsie, at the very instant her own addictions are starting to take over her life? Who do you think she was thinking about? Like a real-life Vesti La Guibba, a sorrow blasts out from the screen like a bullet from a Luger. Life is a cabaret, and sometimes they make movies about it.